A helicopter crashed on a highway in the outskirts of Istanbul, after apparently hitting a television tower in dense fog, sources said. ISTANBUL: The mayor of Istanbul says that the death toll in the helicopter crash on the outskirts of Istanbul has increased to seven. Officials had earlier said five bodies were recovered from the scene of Friday's crash, without providing information on the fate of two others on board the helicopter. 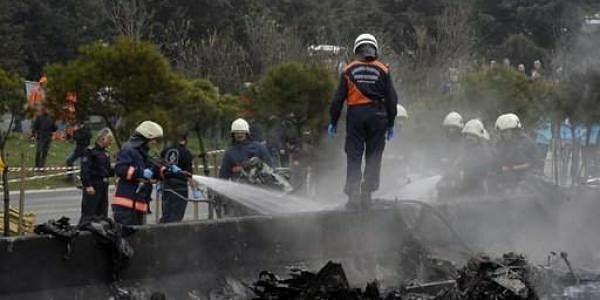 Mayor Kadir Topbas said, however, that all seven on board the helicopter had died.